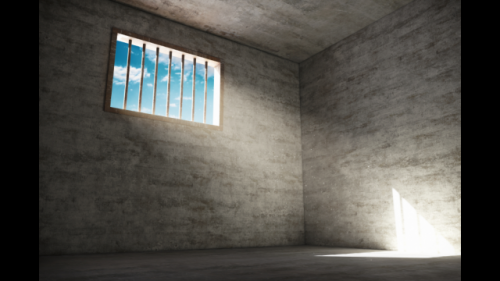 A faith-based prisoner re-entry program in Minnesota has saved an estimated $3 million by reducing recidivism, according to a Baylor University study published in the International Journal of Criminology and Sociology. The study is a cost-benefit analysis of the InnerChange Freedom Initiative, a program which relies heavily on volunteers and is privately funded, said study co-author Byron Johnson, Ph.D., co-director of Baylor's Institute for Studies of Religion (ISR). "The InnerChange program is a boon to taxpayers. It doesn't rely on public funding. Yet, at the same time, it provides a benefit by reducing recidivism, which results in fewer costs associated with crime," said lead author Grant Duwe, Ph.D., research director for the Minnesota Department of Corrections and a non-resident scholar of Baylor's ISR. In the debate over whether and how faith-based groups can be effective in working with government and secular entities to confront social ills, "this kind of research will be called for by policymakers," Johnson said. "It just makes sense. Taxpayers want to know whether programs work – especially when religion is involved." The cost-benefit analysis followed up on a 2012 study that compared recidivism outcomes among 732 offenders released from Minnesota prisons between August 2003 and December 2009. In that study, a comparison group of 366 prisoners—who did not take part in the program—were carefully matched with 366 InnerChange participants on factors associated with recidivism and program participation. The results showed that InnerChange reduced re-arrest by 26 percent, re-conviction by 35 percent and re-imprisonment for a new felony offense by 40 percent. Duwe and Johnson studied post-release employment and recidivism outcomes to estimate InnerChange's financial impact on state income tax contributions, victimization costs, criminal justice system costs and lost productivity of prisoners. They found that the program produced a benefit of nearly $8,300 per participant. InnerChange includes Christian religious services, Bible study and prayer, substance abuse education, cognitive skill development, mentoring and seminars, as well as aftercare involving support groups, peer mentoring, interaction with volunteers and individual counseling. Those in the program need not be Christians, and volunteers, who are screened, represent a variety of denominations but need not be theologically trained. The program lasts 18 months in prison, followed by a year-long reentry phase. The nation's first InnerChange program—launched in 1997 for men in Carol S. Vance Unit near Houston—was a joint venture by Chuck Colson's Prison Fellowship and Texas Department of Criminal Justice. Currently, the country has eight InnerChange programs (three for females) operating in Arkansas, Kansas, Minnesota, Missouri and Texas. The researchers noted that many faith-based organizations do not consider seeking government funding to deliver social services. But many—especially in disadvantaged communities—are willing and eager to do so. "In a time of economic hardship, it would seem prudent for secular and sacred groups to consider working together in order to develop evidence-based approaches to confront social problems like offender rehabilitation and prisoner re-entry," the study concluded. Funding sources aside, it is good that somebody cares enough to do something about prisoner populations. It used to be the religious that first administered some penitentiaries in the United States, with cells much like a monastery, and the prisoners relatively isolated and given something to do as they were advised to reflect on what they'd done and what they wanted to do. The fundamental religious reasons aside, the model of keeping prisoners from aggregating into populations, gangs, and training other prisoners in criminal methods seemed to work, but it was expensive. If only we'd had such an analysis as this to show that the cost savings in the reduced recidivism and victimization made the thing pay for itself. If cost-benefit is paramount, I would hope a program like this would be used instead to change our prison model, rather than encourage tacking on religious programs to a failed system.